We are conveniently located in Downtown Redmond. 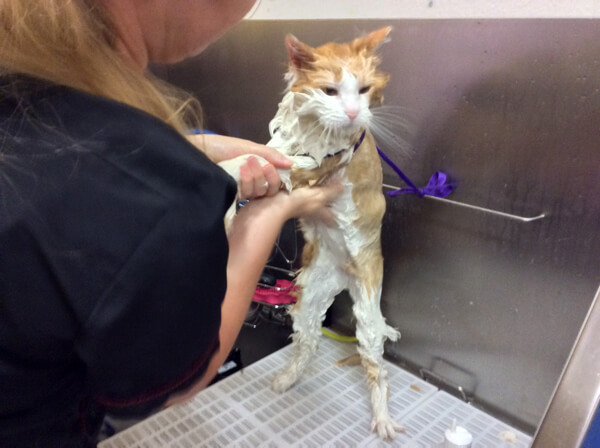 Traci’s Organic Spaw offers specialized dog and cat grooming services to help keep your pup or cat fresh, clean and feeling great! 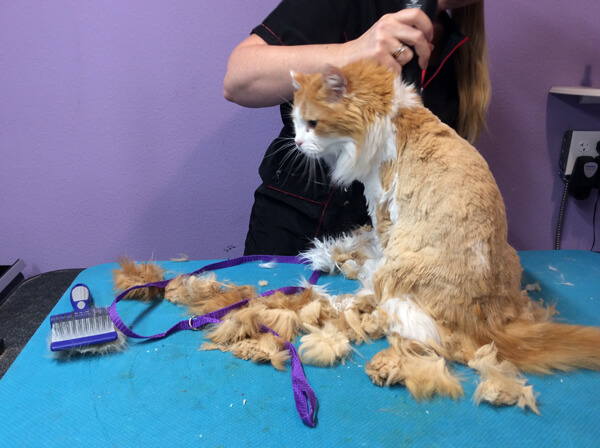 Our professional and credentialed groomers, including an Advanced Professional Groomer have years of combined experienced and are dediated to groom your dog or cat with professional skills and kindness. 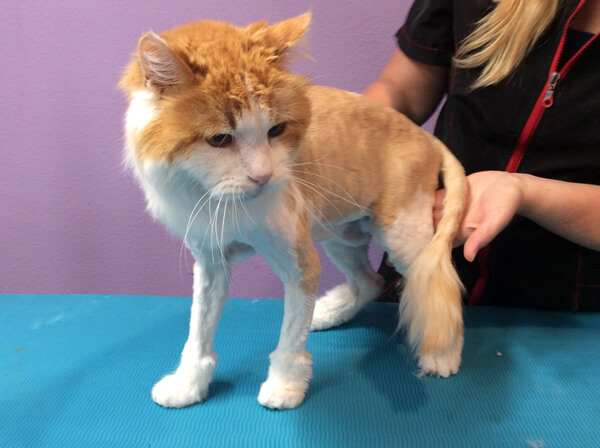 Our groomers work as a team to care for pets with special needs. 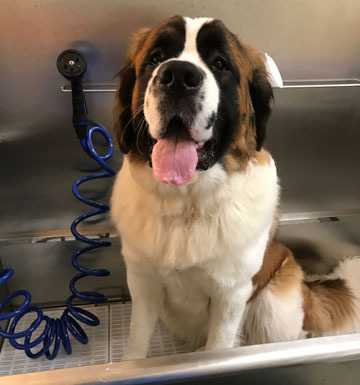 Our facility offers a safety-orientd bath area in our grooming room. 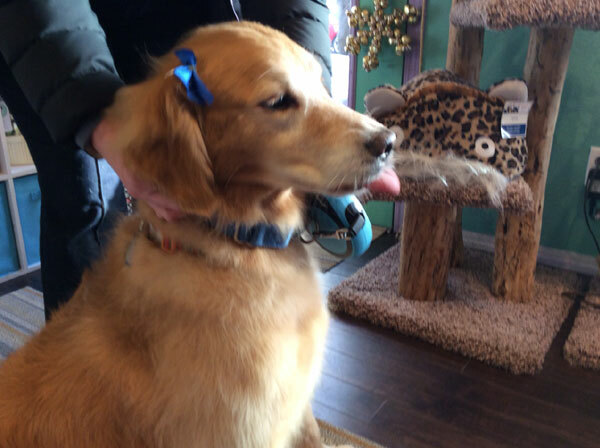 After a hand held blow dry, dogs are crated for a gentle breeze-like air dry. 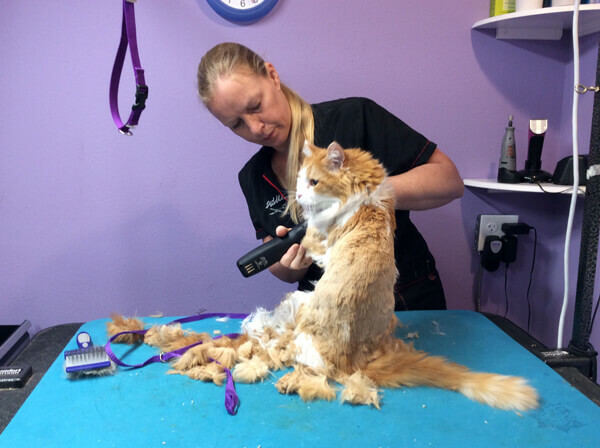 We use Aromadog Chill Out, recommended by our vet in our grooming area. 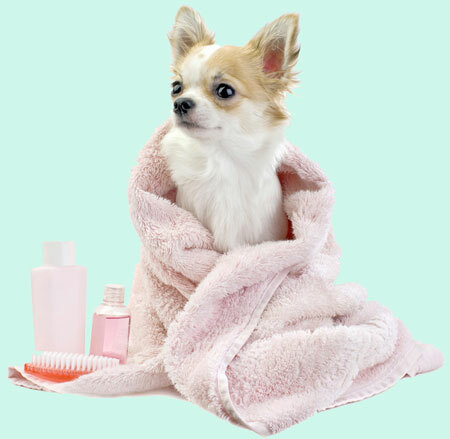 This aromatherapy for dogs is a blend of chamomile, lavender and marjoram specifically blended to calm and quiet nervousness. And for a feline guests there is Aromacat, Cat Nap. This calming influence of lavender and chamomille hydrosols soothe and quiet the most agitated feline. Please call to let us know you are coming in! 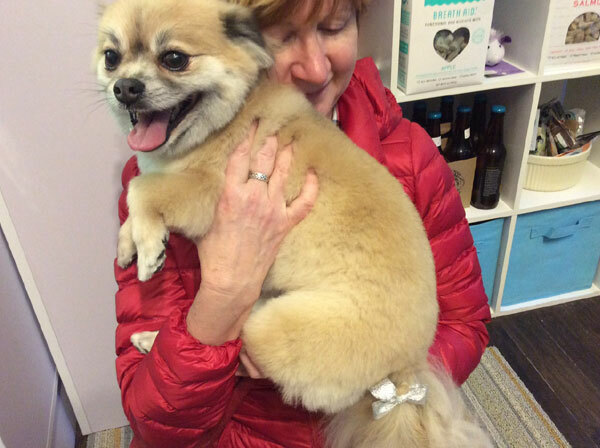 Both groomers have Barkley, First Aid and CPR Certifications and are Members of the NDGAA and International Pet Groomers Association. 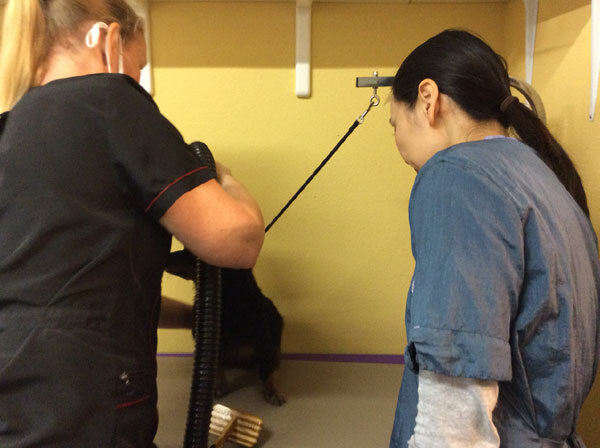 At the beginning of your appointment you will receive one-on-one consultation to get to know your dog in terms of health, behavior and coat condition. 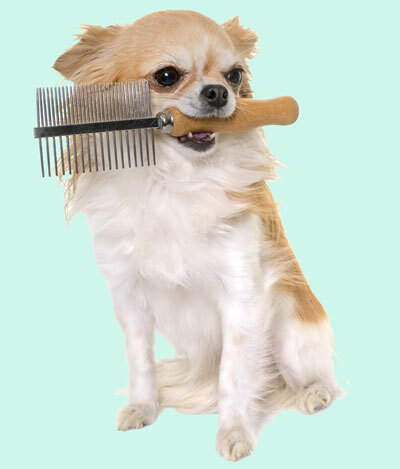 We work with you to achieve a healthy skin and coat as well as a great looking dog. We offer top quality shampoos and conditioners including hypo allergenic and oatmeal baths and blueberry facials scrubs. 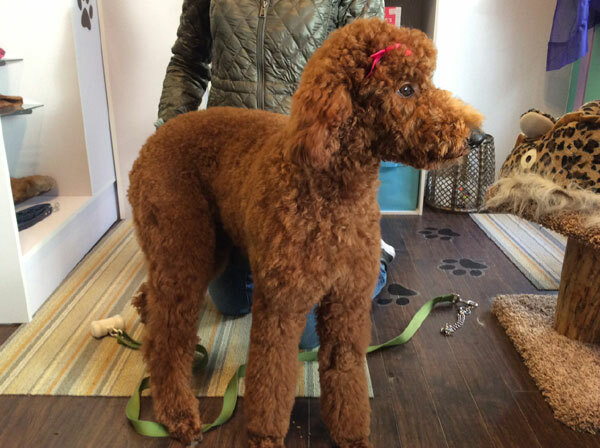 Our clients receive complimentary nail trims and spruce ups in between their regular grooming appointments.